“How to Live Longer and Healthier” written by Guest Contributor. Have you ever heard that people in biblical times lived to be 900+ years old? Methuselah in the book of Genesis, for instance, is said to have lived to be 969 and Adam the first human according to the bible lived to be 930 years old. I’ve always wondered are these real numbers or a myth? Today we don’t have anyone living even close to 9 decades, but there are people living to be well over 100. Some of the oldest people on earth are 116-117 years old. 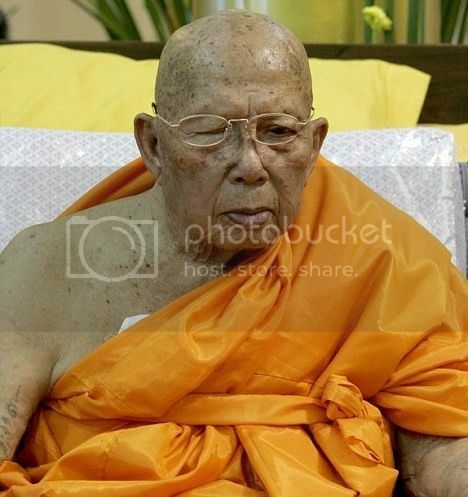 Luang Phu Supha a Buddhist monk claims to be celebrating his 115th birthday today at a temple in Phuket, Thailand. Jeanne Calment from France was 122 when she died in 1997. So What Sets Them Apart? I think if we plan to live even close to the oldest people on earth, once we can get past the first hundred years it gets easier from there. Because in the first 100 years we are trying to come to terms with so much loss and change. This is where the right mindset and a positive mental attitude are so important. 1) Instead of TV or the news, read or listen to something positive or uplifting every day for at least 30 minutes. 2) Live With Others – Having the ability to continue to have connections and companionship; to feel needed and cared for was one of the common denominators in the majority of the oldest citizens. 3) Don’t smoke – Of the more than 2.4 million deaths in the USA annually, over 480,000 are caused by smoking! 4) Eat Fruits and Veggies- Extensive studies have shown that the more vegetables and fruits we eat the lower the risk of all-causes of mortality. 5) Push your plate away. -Restricting caloric intake seems to work by lowering metabolic rate, reducing the frequency of age-related diseases by reducing the amount of “free radicals” produced naturally by our bodies. In a 2008 study at Louis University, they found that limiting calories also lowers the production of T3, a thyroid hormone that slows metabolism—and speeds up the aging process. 6) Get Moving- Research has also linked walking to longevity; people who walk more and at a faster gait are more likely to live longer than those who do not walk as fast, according to a University of Pittsburgh study. A 2008 study found that regular high-intensity exercise (such as running) can add up to four years to your life. If we develop mechanisms for coping with change in out first 100 years, we are less likely to smoke, drink, or overeat and more likely to have great connections with people. A positive attitude really is fundamental to keeping well.